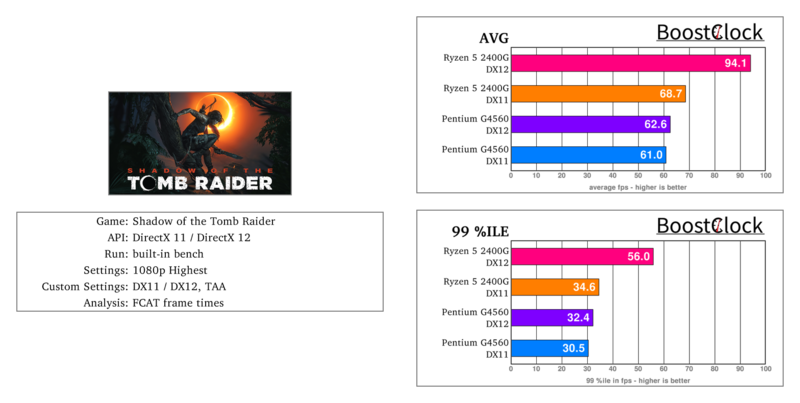 Can DX12 extract more performance from CPUs in Shadow of the Tomb Raider? The budget-king Pentium G4560 and the Ryzen 5 2400G is paired with the mighty GTX 1080 Ti to push the CPUs to their limit. 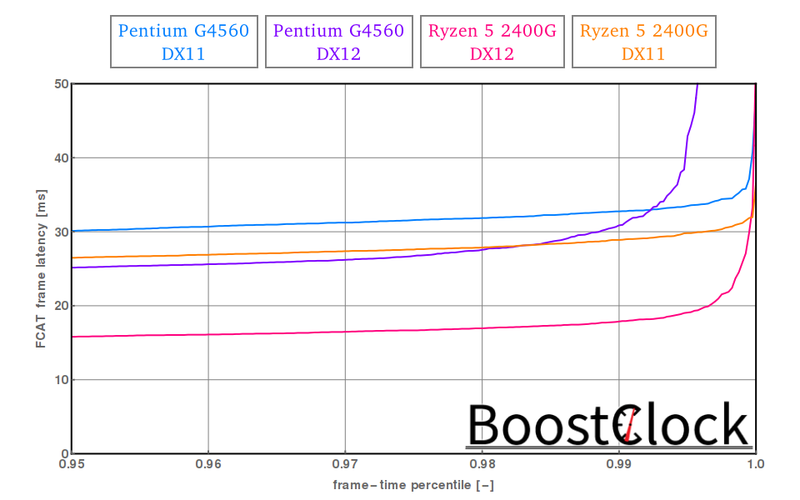 Strangely, the Ryzen 5 2400G is just fractionally faster than the G4560 in DX11, but DX12 brings substantial uplift in frame rate. 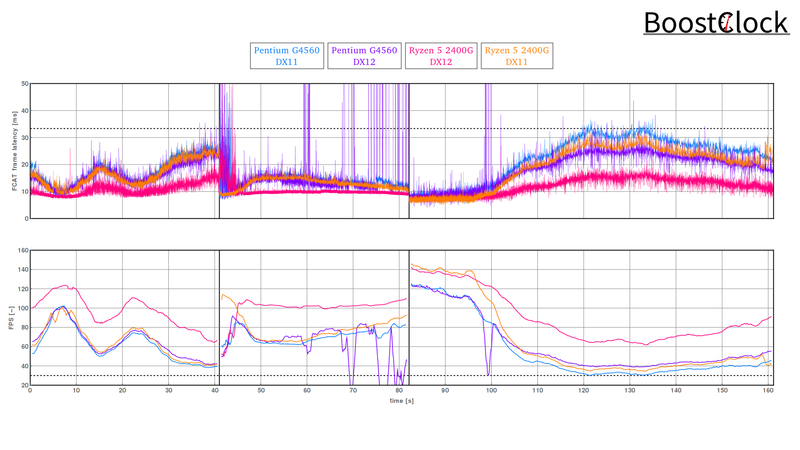 The Pentium is pushed really hard with the old API and doesn't benefit much from DX12 except for the 3rd scene. Moreover, the 2nd jungle scene with DX12 introduces intense rubber banding on the Pentium system.